Home Soccer Who is Martín González, the new sports director of Getafe? Who is Martín González, the new sports director of Getafe? The Spaniard has gone through the sports field of Osasuna, Real Zaragoza and Oviedo. In addition, he developed his stage as a footballer in Castilla, Osasuna and Rayo Vallecano. Yesterday the arrival of Ángel Martín González (54 years old) was known to Getafe as sports director, accompanied by Juan Antonio Pérez Cabrero as technical secretary. The Spaniard arrives at the club azulón after the departure of Nico González and will be responsible for planning the template facing the next three seasons taking into account the more than likely entry into European competitions thanks to the great year they are making the Pepe Bordalás. Tal was the bond that created the new azulón sports director with Osasuna, When he retired, he joined the club as the second coach of Martín Monreal. In the rojillo team, Martín González also served as assistant to Miguel Angel Lotina and 'Vasco' Aguirre until he made the leap to the technical secretariat, a plot in which was until the year 2013 when he submitted his resignation. Martín González left Osasuna after 15 years for disagreements with the then president Miguel Archanco as the president said in an interview to Diario de Noticias: "We have criteria for the operation of the Promises, the first team, the contracts of the players in the field of the economic and with respect to the age, the discrepancies with him, in that sense, are important ". Yes he received the love of technicians and players who published a letter showing support for Martín González. De Osasuna went to the sports management of Zaragoza in 2014, there he was two seasons and almost achieved the promotion of the Aragonese club to First Division thanks to a great planning with the incorporations of Borja Bastón, Willian José or Ruiz de Galarreta, among others. But after a tie against Las Palmas in the playoff of promotion to the queen category, it was the islanders who managed to climb. 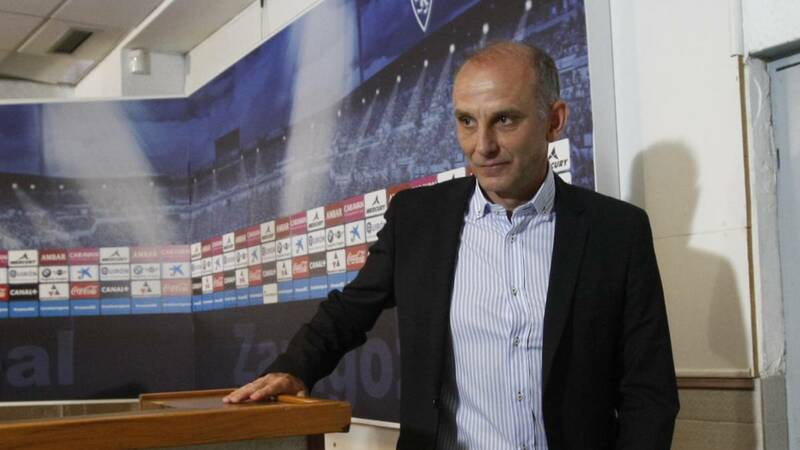 After the disappointment of not getting that longed for promotion and another season at the head of the technical direction of Zaragoza, in 2016 Martín González was dismissed along with Ranko Popovic (Madrid's bet for the Aragonese club bench) by the Board of Directors. El Real Oviedo was his next destination and last until arriving at the organizational chart of Getafe. Martín González arrived in Oviedo to fill the gap left by Carmelo del Pozo, and thus be able to show his experience and knowledge of the Second Division. There he coincided with Fernando Hierro, who did not work as a coach, and the sports director chose Anquela to take the bench. With the current coach of Oviedo has had a good relationship as stated at a press conference when asked about the future of the current sports director of Getafe: "Personally, in the humane and daily, I have no complaint of Angel" . Martín González left Oviedo on April 3, when the Carbayón team made official their departure with a friendly statement. Michu is in charge of replacing Madrid as the sporting director of Oviedo. With this path arrives Ángel Martín González at Getafe where he will coincide with some known as Ángel González and Leandro Cabrera after passing through Zaragoza. In the blue set will work with Pepe Bordalás to face the next three seasons.